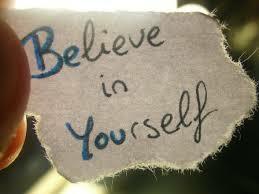 Self-motivation is, believing in yourself, a feeling I felt when my grandpa told me, I have nothing to give you. If there's a greater gift I would like you to have, is the ability to see how great you are, that's what I see in you, see who you truly are, Take care what you tell yourself. You are always listening. Be kind in words more to yourself. It matters much what you say to yourself, each day at a time, that feeling of not turning back, give you the best, of every thought. Push so hard doing what you love. Let doing what you love to kill you. There's something for each of us, people make millions from manufacturing cars, others making spoons, winners are created so are losers. It will not take a day, but I know I will. Am the best outfit for me, am strong, am wiser, am better, am positive that's what I should see. An Early time I stand up, wipe the dust off my hands, and from the back of my shorts that weaken me from having the power to cast the stone and kill Goliath, one stone is enough, after few words to my lord. That wanting to burst from within, let it all out, for the world to see, what I am. To write my way up, to the coin I will earn. Use my words. not to chase after money, but after my dreams, It's not how great what you do is. How great you does it, wanting to be perfect we tend to lose self-confidence, without trying to prove anything, convince myself I have the reason to believe in me.You are your own best. thanks alot. you are as inspiring.